Buying a new or used iPhone? 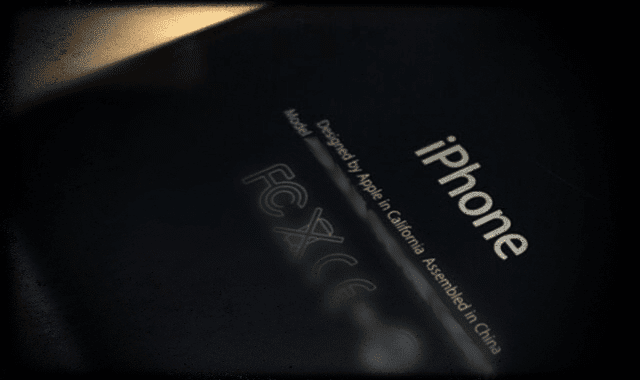 Wondering how reliable are refurbished iPhones? Here’s how you can tell the origin of the iPhone. The model number of the device is handy when it comes to checking if your iPhone is new or refurbished. Buying a refurbished iPhone from Apple is different than buying it from your carrier, even though both the devices are “Certified.” Here is how you can tell if your iPhone is New or Refurbished. 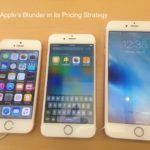 4 What’s Different About Buying a Refurbished Device From Apple Versus a Carrier or Third-Party? If the model number of the iPhone starts with the letter ‘M,’ then it is a NEW iPhone. If on the other hand, the model number starts with letter ‘F,’ it’s a carrier-refurbished model and when it starts with the letter ‘N,’ it indicates that it is an Apple Replacement device. Finding the model number of your iPhone is easy. Tap on Settings > General > About and scroll down to the Model section. This setting will show you the nine-digit model number that you can use to determine the origin of your iPhone. On newer iPhones such as the iPhone 8 and higher, the model number is also visible in the SIM tray slot. You will need to remove the SIM tray and look. The refurbishment process at Apple does the following before it is available for sale. Full functionality testing and any defective modules identified in testing are replaced. Sent to a thorough cleaning process and inspection. Repackaged (including appropriate manuals, cables, new boxes). Put into a Final QA inspection before being added to sellable refurbished stock. When you purchase an Apple refurbished iPhone, you can also buy the AppleCare warranty with it. This extended warranty provides you with services up to two years. 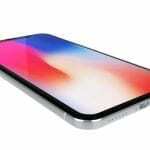 If you are on the hunt for a less expensive but good quality iPhone, you should definitely check out Apple’s own website that lists out the refurbished devices. When Apple provides you with a replacement iPhone, it can be either a new iPhone, model number starting with the letter ‘M’ or it can be replacement iPhone with the model number starting with the letter ‘N’. Both the products are quality products. The Apple certified refurbished iPhone is different than the carrier certified refurbished models and it is easy sometimes to get confused between the two. In the case of a carrier-refurbished model (the model number starting with ‘F’), the carrier itself manages the refurbishment process. 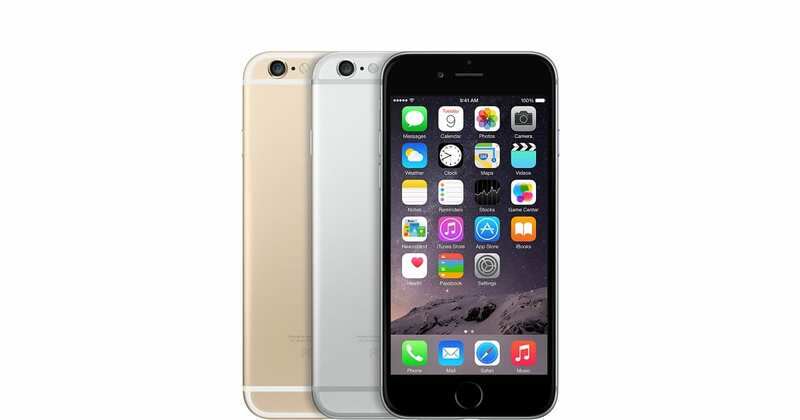 For example, when you buy a certified pre-owned Verizon iPhone, Verizon inspects the device. “At Verizon, we thoroughly inspect all Certified Pre-Owned phones and devices to like-new condition. Devices go through a complete 100+ point checklist to ensure they measure up to Verizon’s standards. As you can see the warranty on a Verizon certified pre-owned is only 90 days. Apple’s refurbished iPhones come with a year warranty. 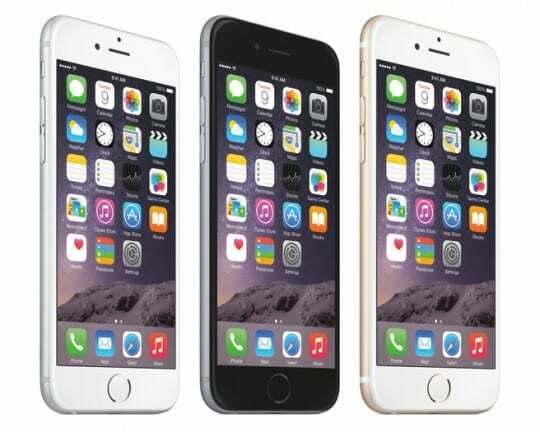 What’s Different About Buying a Refurbished Device From Apple Versus a Carrier or Third-Party? 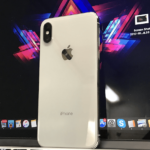 One big difference between getting a refurbished iDevice through Apple versus a Carrier (or third-party) is that all Apple Refurbished products come with a new battery AND and the same one-year warranty that any new Apple hardware comes with. It’s a deal that’s hard to beat! When you buy a used iPhone, you can also check to see what sort of warranty coverage if any is available for the iPhone. 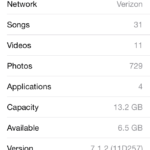 To check the service coverage, you will need the serial number of the iPhone which can be found at Settings > General > About. Once you have the serial number, you can go to Check Coverage and enter the serial number. With the busy end of the year season coming up, there might be many iFolks who are looking to buy used or certified pre-owned devices. We are hoping that this information will be useful to you. I purchased a new iPhone 8 Plus in September from T-Mobile within six months my screen went totally black where l couldn’t make calls or send texts however my phone was still receiving calls. I took it to an Apple store in San Antonio Texas to exchange it since it has been six month, they gave me a replacement phone which I know is a refurbished phone because I looked at the model number. Three tech assured me it was a new phone. I want to know why they lied and why they didn’t give me a new phone since my phone was six months old and under a warranty for a year they gave me a replacement (refurbished) phone and the warrenty is only for 90 days. When Apple replaces iPhones under warranties, you get a new phone or a refurbished phone (it must be thoroughly tested and equivalent to new device.) So a refurb is usually a good iPhone too–and sometimes better since it goes through more extensive testing that a new device. When Apple refurbishes a phone, the battery and any damaged parts are replaced, and the phone gets thorough inspections and tests. To check if your replacement (or orginal) iPhone was refurbished, go to Settings > General > About > Model and see if it begins with “N”. Contact Apple again regarding your replacement iPhone 8 Plus–it should come with a warranty that matches your original purchase. We guarantee our service, including replacement parts, for 90 days or the remaining term of your Apple warranty or AppleCare+ coverage, whichever is longer. So if you purchased a new iPhone in September, any replacement should offer an Apple Care+ warranty through that date in 2019 since that is longer than 90 days. If you purchased the additional Apple Care+ warranty for the old phone (the one you just replaced) that warranty should carry over to the new replacement phone as well. When you call or contact Apple Support, make sure you have your original proof of purchase to reference to–and submit if asked. Apple lied to me as well. I purchased a brand new Apple watch and soon after Apple determined it was defective, at no fault of mine. They said they would send me a new replacement, instead, I got a refurbished. I called to tell them it was supposed to be brand new and was told it was like new and I should be happy. Apple WILL do this even if your item is still under warranty, whether it be two weeks, three weeks out and Apple’s fault, they will replace it with a refurbished item. I escalated the situation and the next person I spoke with swore up and down it was not a refurbished watch, but it clearly stated it was when they said it was on the way. It was sloppily packaged and had someone’s fingerprints on it. So I paid good money for a brand new watch and was given a refurbished replacement soon after. There needs to be a class action lawsuit started on this. Apple Certified Refurbished products, available only from Apple’s own website: iPhone/iPad/iPod touch includes a NEW battery, (and a new outer shell). So, battery life is unknown when purchasing from anyone other than Apple, as you will never know how old the “refurbished” device is, as it is only inspected, what they refer loosely to as “refurbished” just means they checked it out and include manual and charger with it, or something like that, and some kind of short warranty, but, you cannot add AppleCare. (Again, as already pointed out, Apple comes with same as new 1-year warranty, and you can add AppleCare to that. Apple’s service for the refurbished products they sell are treated exactly the same as new.